Our office is located in the Davenport Hotel Tower at 111 S Post Street on the corner of Post and 1st. 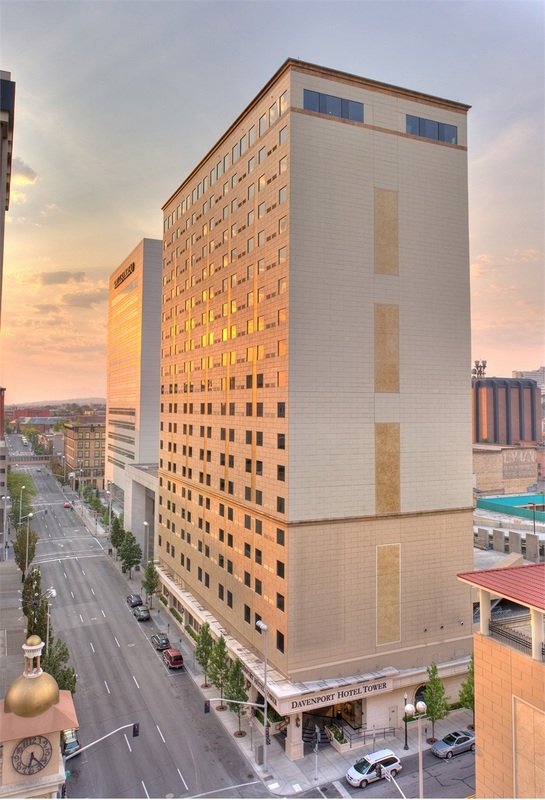 The Davenport Hotel Tower is cater-corner from the Historic Davenport Hotel and 3 blocks south of the River Park Square Mall. We are on the Penthouse level in Suite 2260 which can be accessed from the main elevators Monday through Friday 8am to 5pm. If trying to access our office outside of these hours please call the front office at (509) 462-0747. There is free valet parking, which is accessible from Post Street. Please bring up your valet ticket for validation.